Goblins have long been a nuisance to travelers in the Eerie Forest, but recently they have become organized. The goblin horde has been attacking caravans and nearby villages. Even stranger, from their symbols and gestures the goblins appear to be devil worshipers. Heroes are needed to travel into enemy territory and defeat the mysterious entity who leads the goblins. 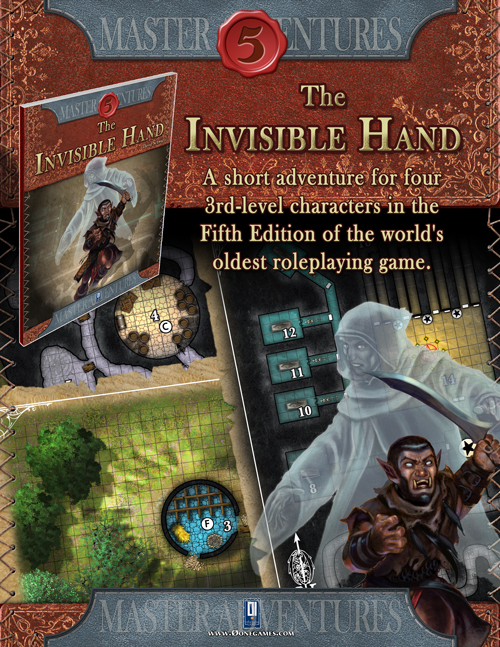 Do the PCs have what it takes to face The Invisible Hand? In The Invisible Hand the PCs explore the goblin-infested ruins of a watchtower and an underground temple. In the Eerie Forest, both are located on Dead Knight Hill, a rocky tor that looms over the woods. GMs are encouraged to place these sites in a wilderness area appropriate for their campaign. 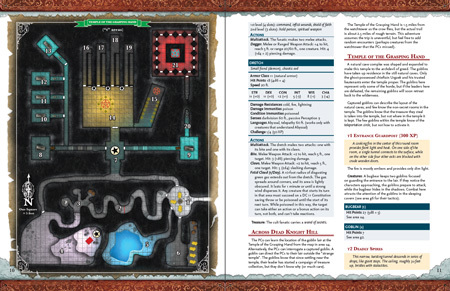 This adventure is designed for four 3rd-level characters in the Fifth Edition of the world’s oldest roleplaying game.